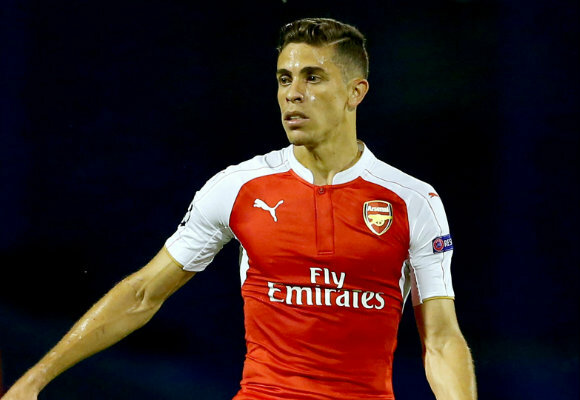 Arsenal boss Arsene Wenger has confirmed that Gabriel Paulista should be available to face Bayern Munich on Tuesday despite missing the win over Watford yesterday. Gabriel was a surprise absence from the squad at Vicarage Road on Saturday evening with initial reports suggesting he had been ruled out through illness. Further speculation then claimed the Brazilian international had actually undergone a minor operation last week but there were no concrete details over why he was left out against Watford and Wenger made no reference to it at his press conference ahead of the game. However, it appears whatever the reason was, Gabriel’s absence is going to be shot-lived as Wenger has now told Arsenal.com that the centre-back was able to train on Saturday and should be available to face Bayern Munich on Tuesday night. Gabriel has slowly been establishing himself as a first team regular this season and he was in excellent form in the weeks running up to the international break. We kept a clean sheet during the 3-0 victory over Watford last night but I still think we missed Gabriel as Per Mertesacker’s lack of pace was exposed by the hosts at times. It will be interesting to see whether Gabriel starts against Bayern Munich on Tuesday or if Arsene sticks with Mertesacker against the German champions, but I’d be tempted to play the Brazilian alongside Laurent Koscielny at the back.